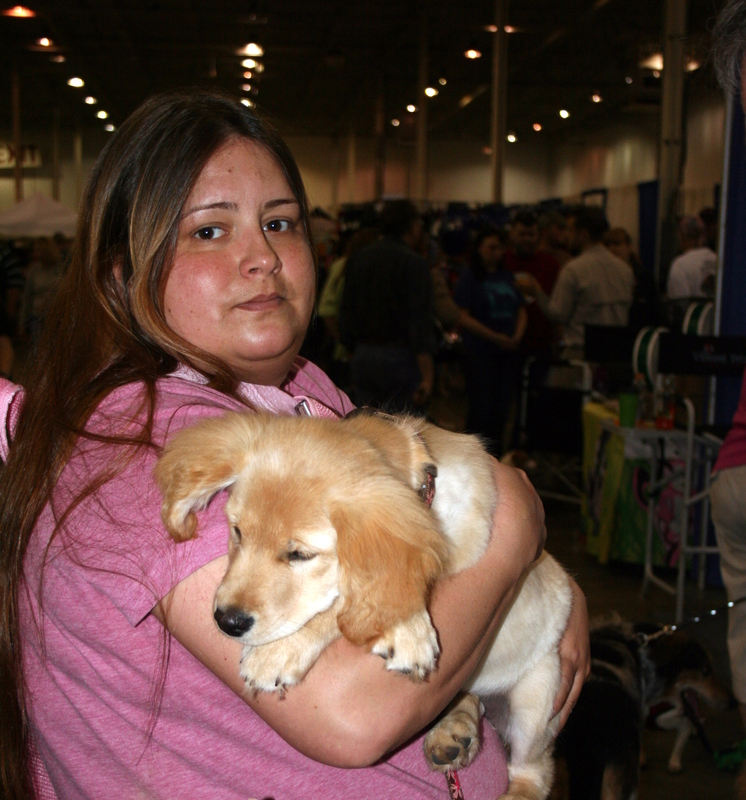 The girls and I headed out to the Super Pet Expo this Saturday, along with what seemed like thousands of other pet owners. The line to buy tickets stretched out the door and down the building. 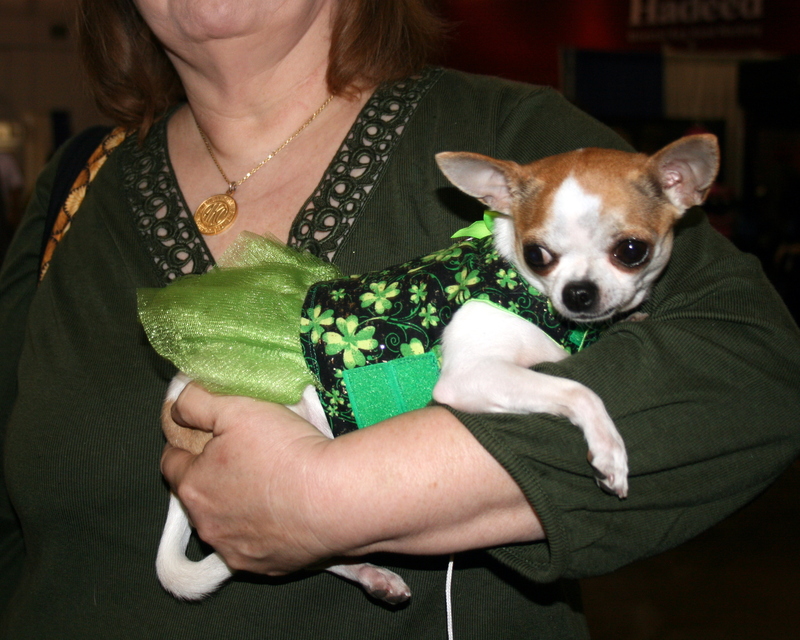 Many attendees had their pups in tow, or in arm, as with this very comfortable-looking, and smartly-attired Chihuahua. 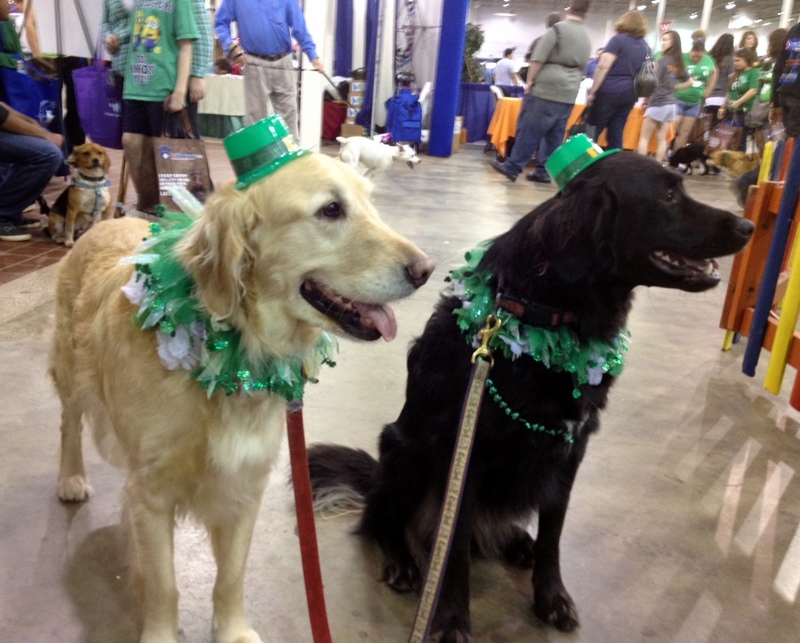 Chatham and Sundae donned their St. Patty’s gear as well. 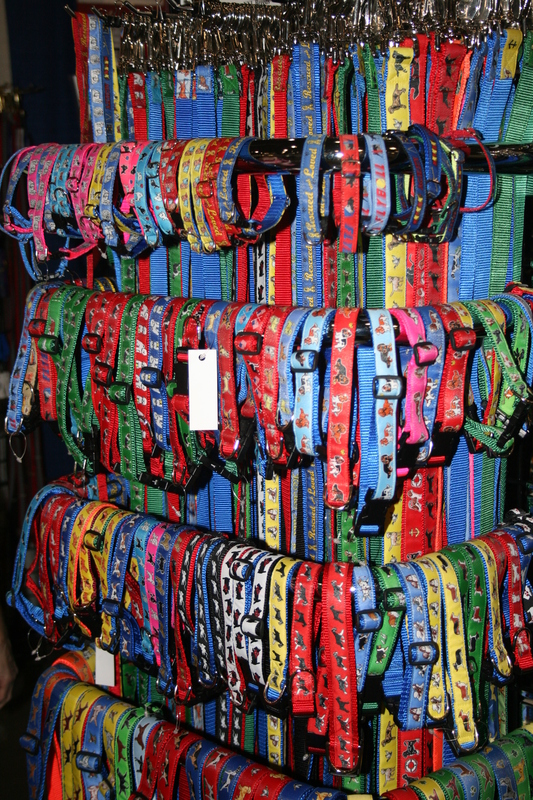 Vendors were doing a brisk business in everything from collars and toys to apparel and pet-themed gifts. 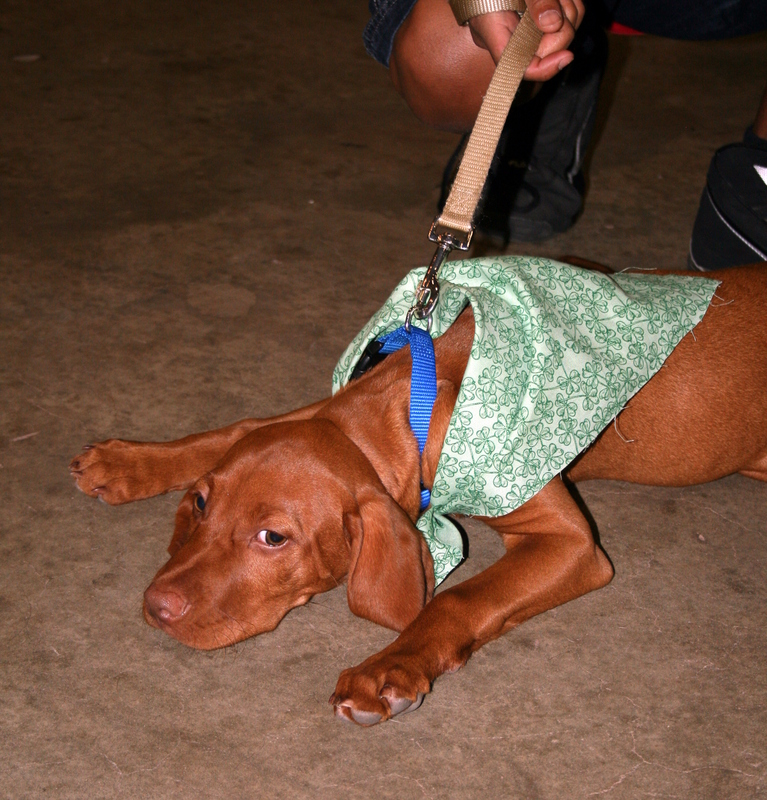 Plenty of pups were just exhausted from all the commotion. 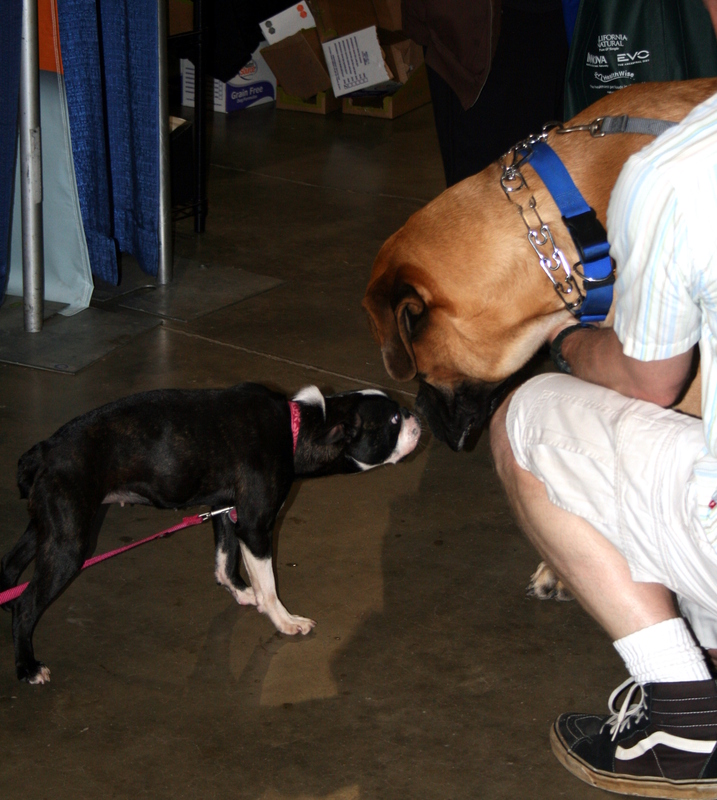 And others took the opportunity to make new friends, of all shapes and sizes. This sweet pup is a 3-month-old pit bull mix available for adoption from Jasmine’s House, Inc. The gentle giants available for adoption from Mid Atlantic Great Dane Rescue couldn’t be more serene, even with their St. Patty’s party gear on. Mission accomplished! One tired puppy.